After a successful Kickstarter campaign and retail partnership, the Pebble smartwatch is taking its next step forward. And it’s a big one. The company announced on Wednesday support for all iOS 7(s aapl) notifications, a new SDK for developers to create more powerful apps, better support for storing data when not paired with a phone, and four new partners, including Foursquare, so that you can check-in to a location from your watch. Essentially, what started out as a smart wearable device is now becoming a smart wearable platform. I spoke earlier this week with Pebble’s founder, Eric Migicovsky. He told me that now that there are roughly 190,000 Pebble watches on wrists, it’s time to extend the capabilities of the device. The developer team at Pebble spent the last four months focused on doing just that. And it shows. I was able to install the new Pebble firmware on a loaner watch and immediately see the benefits when paired with an iPhone(s aapl). Enabling notifications for my most used apps brought a wide variety to my wrist, including a reminder I set using the newly updated Google Now app. New notifications are just part of Pebble’s improvements. Pebble’s initial SDK is used by 10,000 developers and there are approximately 2,200 apps for the watch. The new SDK is sure to boost both of those numbers. 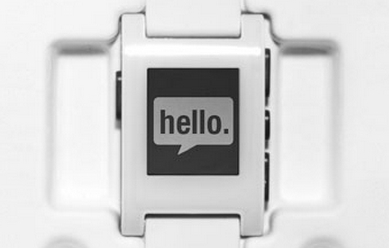 Pebble is providing developers with direct access to the watch’s hardware, such as the accelerometer and buttons. And a new Data Spooling API can capture and store data, even when the watch is separated from its paired phone. That means, for example, a simple pedometer app could be written and the data would automatically sync to the phone when back in range. Four new partners are coming on board with Pebble to bring watch apps, including iControl (a home control service used by ADT, Comcast(s cmcsa) and others), Foursquare, GoPro and Yelp. Migicovsky explained that Foursquare check-ins will be possible as will GoPro camera control, for example. These partner services are still in the works but coming soon. Unlike nearly 200,000 others, I bypassed the Pebble in favor of the MotoACTV I bought in early 2012, mainly because it handles basic notifications and works as a standalone device, complete with Wi-Fi, GPS and Bluetooth. But after using Pebble for a few days with the new firmware, I’m already reconsidering that decision. And that’s without having the ability to do Foursquare check-ins yet; something I’d definitely use. 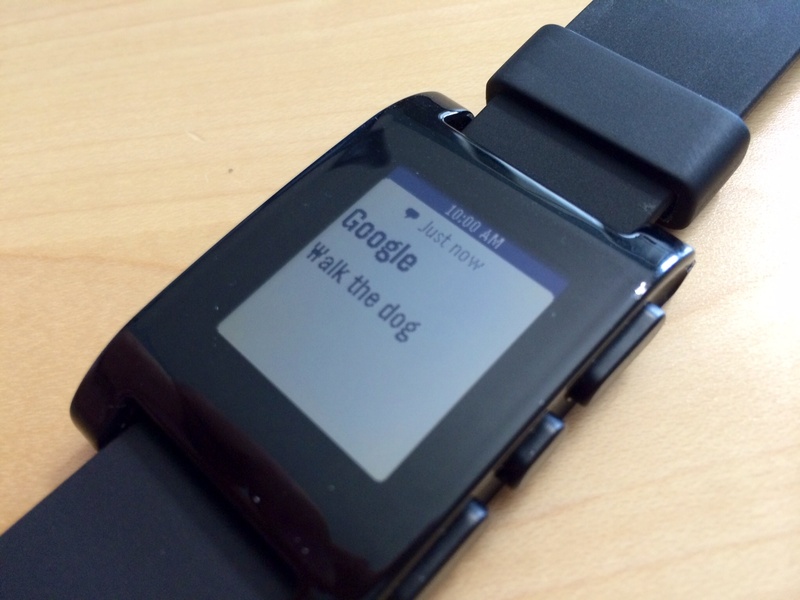 The Pebble is now a big step forward to the contextual type of wearable I’d like on my wrist. 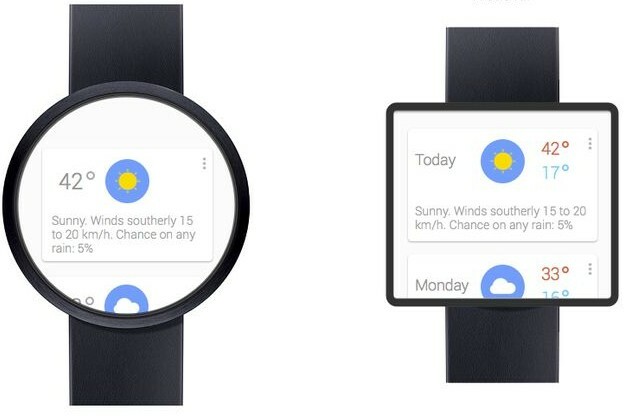 Getting Google Now on a watch is important to me. Even if it’s not to others, the idea of getting a broad range of iOS notifications, combined with new partner apps and forthcoming apps using the new SDK, Pebble just got a whole lot more appealing. And after speaking to Migicovsky, I suspect this is just a stepping-stone to even better things down the road.